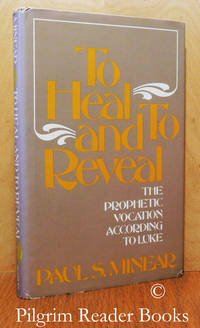 To Heal and to Reveal: The Prophetic Vocation Accoding to Luke. New York. : The Seabury Press / Crossroad.. Very Good in Very Good dust jacket. 1976. Hardcover. 0816402957 . 8vo - 21 x 13.5 cm. ; ix - 179 pp. Beige cloth over boards with gilt lettering on the spine. The 7 chapters of the book are based on Minear's lectures at both the Princeton Thelogical Seminary in 1973 and the Yale Divinity School in 1974. Eight pages of end notes and a 5 page index of biblical references. The library markings, none of which are external, are a stamp on the title page and unused attachments on the back free end paper. Minor wear to the spine tips while the dust jacket has the same wear and the spine is faded. Otherwise clean with a sound binding and the appearance of having been used very little if at all. . 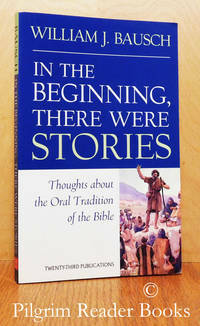 In the Beginning There Were Stories: Thoughts About the Oral Tradition of the Bible. By Bausch, Fr. William J. Mystic, Connecticut. : Twenty-Third Publications.. Fine. 2004. Soft Cover. 158595361X . 8vo - 22 x 14 cm. ; (6) - 210 pp. From the back cover: ". . . uses the key of storytelling to help readers approach the Bible with new eyes and hearts. . . . he discusses revelation, truth wrapped in story, the difference between print and the oral story, and the chasm between the biblical culture and contemporary culture." Two page bibliography at the back. An as-new and unused book. . 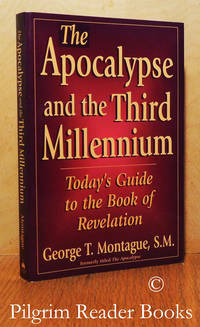 The Apocalypse and the Third Millennium: Today's Guide to the Book of Revelation. By Montague SM., George T.
Ann Arbor, Michigan. : Servant Publications / Charis.. Near Fine. 1998. Soft Cover. 1569551065 . 8vo - 20 x 13 cm. ; 258 pp. First published in 1992 as "The Apocalypse", this is an expanded edition and re-issue. Four page listing (books and articles) of material for further study. Illustrated with a timeline on a 2 page spread of "The Present and the Future in the Book of Revelation" and a map of the "Seven Churches". 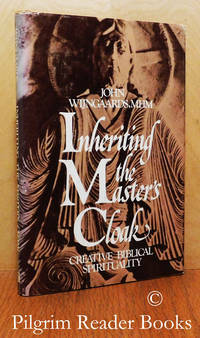 Minor scufffing to the covers, otherwise an as-new and unused book. .
Inheriting the Master's Cloak: Creative Biblical Spirituality. Notre Dame, Indiana. : Ave Maria Press.. Very Good in Very Good dust jacket. 1985. Hardcover. 0877932875 . 8vo - 21 x 13.5 cm. ; 191 pp. Light tan paper with a faux leather finish over boards and dark brown lettering on the spine. Fr. Wijmgaards is the former Vicar-General of the Mill Hill Missionaries of the UK. Minor wear (very minor) to the spine tips and the fore corners of the boards. The dust jacket shows wear in the same spots and has some light though general scuffing. .
General Introduction to the Study of Holy Scriptures. (fourth and revised edition). By Gigot SS., Rev. Francis E.
New York. : Benziger Brothers.. Very Good with no dust jacket. Hardcover. 8vo - 20 x 13.5 cm. ; 606 - 15 pp. Blue cloth over boards with gilt lettering on the spine. 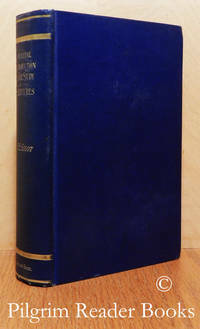 First published in 1899 with the second edition in 1901, this is the fourth and revised edition with no date given. The text is based on a series of lectures (course work) given by Rev. Gigot at the St. John's Boston Ecclsiastical Seminary. Illustrated with 19 black and white plates and a following 2 page fold out chart: "Specimens of the English Translations of the Bible". Six page general index followed by 15 pages of publisher's advertisements. The library markngs, none of which are external, are a stamp on the title page and attachments on the back end papers. Two previous owner's names on first blank page, one of whom is a now deceased local prelate. (Sometimes feeling a tad old - sigh.) Otherwise clean with a very sound binding and showng only mild wear to the spine tips and fore corners of the boards. A clear and removable archival cover has been fitted. .
How to Read and Pray the Passion Story. Liguori, Missouri. : Liguori Publications.. Near Fine. 1993. Softcover. 0892435909 . 111 pp. 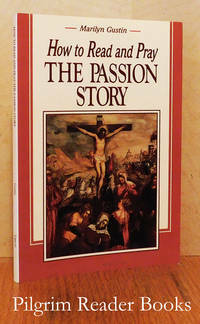 The author considers the passion narrative from all four gospels and provides clear and straightforward explanations of the events of that time. Five page appendix of gospel references for comparison. Very minor wear the the edges of the covers, else an as-new and unused book. .
Life in the Lordship of Christ: A Spiritual Commentary on the Letter to the Romans. London, UK. : Darton, Longman & Todd.. Near Fine. 1995. Softcover. 0232520062 . 8vo - 21.5 x 13.5 cm. ; ix -284 pp. First published by DL&T in 1992, this is the first reprint. Translated from the Italian, "La Vita Nella Signoria di Cristo" - the fourth revised edition of 1989, by Frances Lonergan Villa. One appendix entitled "Notes on how to use the contents for spiritual exercises, retreats and seminars for a new life in the spirit". Nine page scriptural index, 3 page index of documents and authors quoted, and a 5 page thematic index. Minor wear to the cover edges, otherwise very clean with a tight binding and seeming as though it has never been used. . 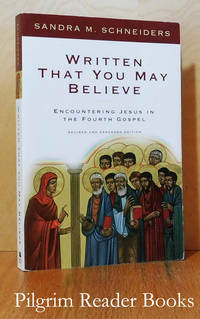 Written so that You May Believe: Encountering Jesus in the Fourth Gospel. (revised and expanded edition). New York. : Crossroad / Herder & Herder.. Very Good. 2003. Softcover. 9780824519261 . 8vo - 23 x 15 cm. ; xvi - 311 pp. First published in 1999, this is the revised and expanded edition with some new chapters by the author and a 28 page study guide by John C. Wronski SJ. Thirteen page bibliography and a 7 page index of ancient sources and a further 8 page index of names and sources. Minor wear to the cover edges and a partial (beginning) crease in the front cover, otherwise clean with a sound binding. . 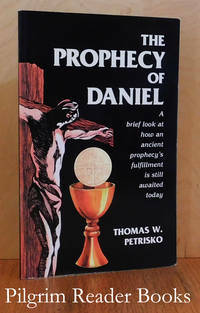 The Prophecy of Daniel: A brief look at how an ancient prophecy's fulfillment is still awaited today. McKees Rocks, Pennsylvania. : St. Andrews Productions.. Very Good. 1997. Softcover. 8vo - 21 x 13.5 cm. ; viii - 54 pp. Foreword by Fr. Michael O'Carroll. Two page bibliography. Slight wear to the fore corners of the covers and a previous owner's name stamped on the first page. . 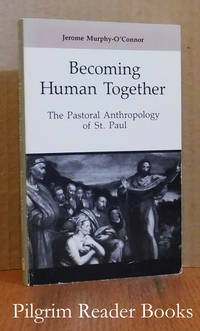 Becoming Human Together: The Pastoral Anthropology of St. Paul. Collegeville, Minnesota. : Liturgical Press / Michael Glazier.. Very Good. 1982. Softcover. 0814650759 . 8vo - 21 x 13 cm. ; 224 pp. This is the fifth printing and the author in his preface states this is the second edition in which minor errors were corrected, new material added and bibliographies and/or suggested readings added to the end of each chapter. Two page subject index and 5 page scripture index at the back. Attachment remains on the inside of the back cover and a previous owner's name blacked out on the title page. Otherwise the book is clean with a tight binding and having only mild shelf wear to the covers. .
Collegeville, Minnesota. : Liturgical Press.. Very Good. 1983. Softcover. 0814612458 . 8vo - 23 x 15.5 cm. ; x - 283 pp. 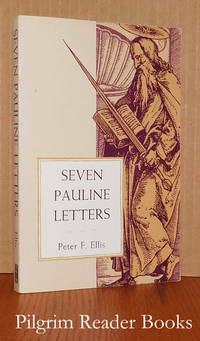 From the author's preface: "The aim of the book is to study the mind of Paul as it developed and matured theologically during the course of his ministry from 51 to 58 A.D. and thus share with him his continually deeper penetration of soteriology, Christology, and the relationship of each of these to the Father's plan of salvation for the world." Thirteen pages called a "Short bibliography and notes" followed by a 6 page bibliography. Previous owner's name on the first page and the covers show mild shelf wear. 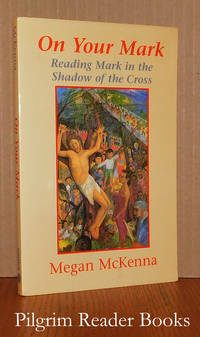 Otherwise very clean with a solid binding. .
On Your Mark: Reading Mark in the Shadow of the Cross. Maryknoll, New York. : Orbis.. Near Fine. 2006. Softcover. 1570756341 . 8vo - 23.5 x 15.5 cm. ; viii - 232 pp. From the back cover: "In her first full-length treatment of a synoptic Gospel, the author . . . provides a roadmap for Christian discipleship. . . We must walk with the companions of Jesus, with Peter, James, and John and the others, men and women like us, and let the Gospel convict us, convert us, confirm us, and call us to repentance." Three page bibliography. The fore corners of the front cover have slight wear. .
Rejoice in the Lord Always! - a Way of Living. By Kosicki CSB., George W.
Stockbridge, Massachussetts. : Marian Helpers.. Near Fine. 1993. Softcover. 0944203183 . 8vo - 20.5 x 13.5 cm. ; (4) - 92 pp. First published in 1985. A series of letters from Fr. George to Mary and Louie Amoruso on the subject of joy using Psalm 100. Suffering + Love = Joy. The covers are lightly scuffed on the spine margin while the interior is clean and the binding is tight. Signed simply by "Fr. George" on the title page. ; Signed by Author . 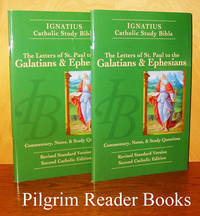 The Letters of St. Paul to the Galatians & Ephesians: Ignatius Catholic Study Bible. (2 copies). By Hahn, Scott with Curtis Mitch and Dennis Walters. San Francisco, California. : Ignatius Press.. Fine. 2005. Softcover. 0898708206 . 8vo - 23.5 x 15 cm. ; 51 pp. Full colour wraps in a saddle staple binding. The scripture translation used is that of the Revised Standard Version, second Catholic edition. The introduction, commentary and notes are by Scott Hahn and Curtis Mitch while the study questions, 3 pages of them by the way, are by Dennis Walters. Both copies are as-new and unused as the shrink wrap was removed to obtain the information listed above. Both copies are included. . 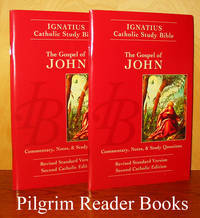 The Gospel of John: Ignatius Catholic Study Bible. (2 copies). San Francisco, California. : Ignatius Press.. Fine. 2003. Softcover. 0898708206 . 8vo - 23.5 x 15 cm. ; 71 pp. Full colour wraps in a saddle staple binding. The scripture translation used is that of the Revised Standard Version, second Catholic edition. The introduction, commentary and notes are by Scott Hahn and Curtis Mitch while the study questions, 11 pages of them by the way, are by Dennis Walters. Both copies are as-new and unused as the shrink wrap was removed to obtain the information listed above. Both copies are included. .
Collegeville, Minnesota. : Liturgical Press.. Good. 1971. Soft Cover. 8vo - 21 x 13.5 cm. ; (8) - 126 pp. 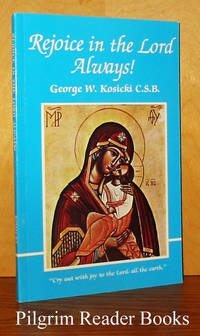 First published by New Directions in 1953, this is a later reprint by the Liturgical Press. 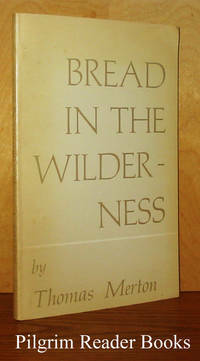 Merton explores the psalms as bread in the wilderness as we journey with Christ into the spiritual barrens. Merton's enthusiasm seeps through as he lays bare the treasures of the psalms. Four pages of notes. Previous owner's name on the first page and the covers are tanned or darkened on the margins. Otherwise the interior is clean and the binding is tight. .
How Can I Get to Heaven? 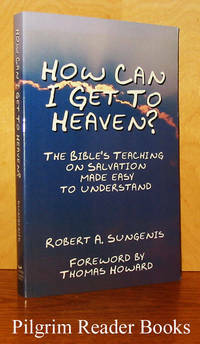 The Bible's Teaching on Salvation Made Easy to Understand. Goleta, California. : Queenship Publishing.. Near Fine. 1998. Softcover. 1579180078 . 8vo - 21.5 x 14 cm. ; xviii - 334 pp. Foreword by Thomas Howard. Twenty-one page scripture index at the back. Other than some very mild shelf wear to the cover edges and light scuffing to the covers themselves, the book is as-new. .
Herder's Commentary on the Psalms. Westminster, Maryland. : Newman Press.. Very Good with no dust jacket. 1961. Hardcover. 8vo - 23.5 x 15.5 cm. ; xxii - 559 pp. Red cloth over boards with gilt lettering on the spine. 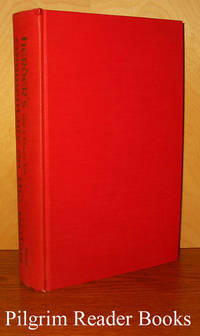 Originally published in German as Volume IV "Die Paslmen" in "Herder's Bibelkommentar: Die Heilige Schrift für des Leben erklärt" and translated by Bernard Fritz OSB. Preface by Theodore Cardinal Innitzer of Vienna. Three page topical index at the back. Previous owner's name stamped discreetly on the front paste down end paper and on the title page. Otherwise the interior is very clean and the binding very good. Minor wear to the fore corners of the boards and the tail of the spine with more moderate wear to the head of the spine. A clear and removable archival cover has been fitted. .
Waterford, Ireland. : Privately published.. Very Good. 2002. Softcover. 8vo - 20.5 x 13 cm. ; 301 pp. Fr. Travers is a Dominican from St. Saviour's Priory in Waterford and this book "is a commentary on the great biblical truth - God Is Love". 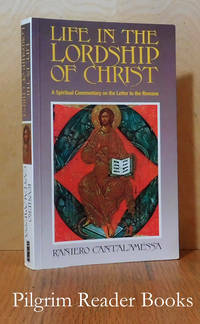 The commentary follows the liturgical seasons and the readings associated with each. Signed by the author on the first (half title) page. 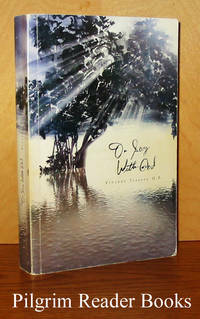 The covers show mild wear and light scuffing, Otherwise, a clean interior and a solid binding. ; Signed by Author . 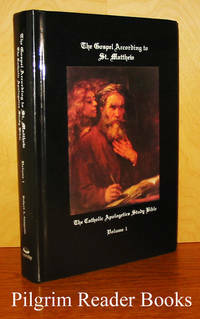 The Gospel According to St. Matthew: The Catholic Apologetics Study Bible, Volume 1. By Sungenis, Robert. (translator and editor). Goleta, California. : Queenship Publishing.. Near Fine. 2003. Hardcover. 1579182364 . 8vo - 23 x 15 cm. ; xiii - 427 pp. Pictorial glossy paper over boards with white lettering on the spine and the front board. The basis for this translation is the Douay-Rhiems with some editing and changes by Sungenis, all made note of on page iii. The gospel itself runs from page 1 through 159 with the apologetic commentaries following concluding with a 7 page appendix. Very mild shelf wear to the fore corners of the boards and the spine tips, else fine. .